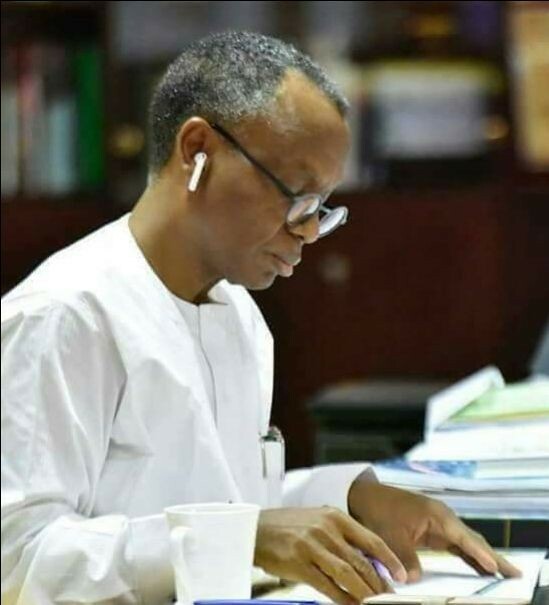 Kaduna State Governor, Nasir El-Rufai on Monday said his administration has secured a major victory for public education by defeating an indefinite strike by the NUT without recalling any of the sacked teachers. The governor made the statement in his first public reaction to the collapse of the NUT strike at a meeting with the 23 local government administrators and their Education Secretaries. According to a statement by his Senior Special Assistant (Media and Publicity), Samuel Aruwan, Malam said, there was no time to dwell in the euphoria of removing trade union obstacle to better standards in the education sector. “The focus must now be on implementing the education reforms in a way that upholds standards and improves the welfare of teachers”. Aruwan further added that, SUBEB reaffirmed plans for the first batch of new teachers to be appointed by February 2018. “SUBEB informed the meeting that interviews for applicants who passed the recruitment test conducted on 20 December 2017 will commence on Wednesday, 24th January 2018. “The interviews will be conducted across the 23 local government areas by panels comprising experienced personnel from the Teacher Development Programme and other professionals. “The governor disclosed that the education reforms in the state require that a commitment to standards be sustained and new incentives provided for teachers. “Among these incentives would be a new salary scale for teachers and provision of houses for teachers posted to rural schools. “Malam El-Rufai observed that the difficulty in securing decent accommodation in rural areas has led to an over-concentration of teachers in urban centres. “He said the Ministry of Education will provide designs for construction buildings with at least six flats for teachers and a bungalow for head-teachers in rural schools. On education standards, he said “a law has been passed to establish the Quality Assurance Board to uphold standards in schools, while the state university KASU has been directed to establish an Institute of Education to provide continuous training for teachers. He further said that the current recruitment exercise will prioritise teachers of English, Mathematics and the Sciences. “To expand the production of such teachers, the governor disclosed that the College of Education, Gidan-Wayawill adjust its curriculum so that most of its products are trained in Primary Education Studies, Mathematics, English and the Sciences. “The local government administrators and Education Secretaries commended Malam Nasir El-Rufai for the unwavering manner in which the state government is implementing its education reforms. They noted that the governor’s determined stance has defeated trade union power that was used improperly, and that teachers are now ready for a new phase”, Aruwan reported.